ZHIYUN Telescopic Monopod is manufactured with hign-quality aluminum ABS alloy. With Telescopic design,the Monopod is extendable at all length with great flexibility. ZHIYUN Telescopic Monopod comes with Poka-Yoke design to avoid fault operation. The monopod can only be retracted when pressing the PUSH button in case of any misopeartion. ZHIYUN Telescopic Monopod adopts bi-directional mounting design. You can mount your camera from either sides up to your needs. The 1/4"-3/8" threads open up to more possibilities of equipment combination. ZHIYUN Telescopic Monopod comes standard with a shoulder strap and a refined carrying bag,which unleash more possibilities of shooting while saving effort to great extent. ZHIYUN Telescopic Monopod is equipped with a universal joint base,providing full-angle flexibility for shooting. Telescopic & Detachable Design. ZHIYUN Telescopic Monopod is manufactured with hign-quality aluminum ABS alloy. 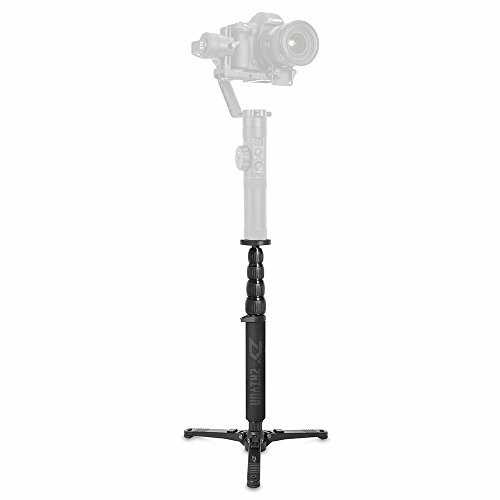 With Telescopic design,the Monopod is extendable at all length with great flexibility. Poka-Yoke Design. ZHIYUN Telescopic Monopod comes with Poka-Yoke design to avoid fault operation. The monopod can only be retracted when pressing the PUSH button in case of any misopeartion. Bi-directional Mounting Design. ZHIYUN Telescopic Monopod adopts bi-directional mounting design. You can mount your camera from either sides up to your needs. The 1/4"-3/8" threads open up to more possibilities of equipment combination.